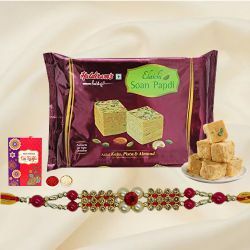 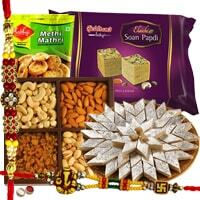 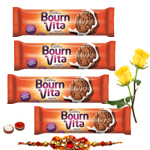 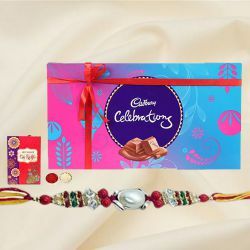 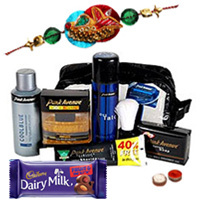 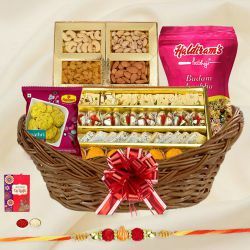 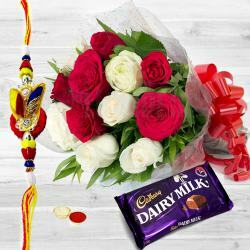 Description : Show the importance of the dear people in your life by gifting them on Raksha Bandhan this Mouth-Watering Chocolaty Love with Fancy Rakhi added with the auspiciousness of a Rakhi, Roli Tilak and Chawal free of cost. 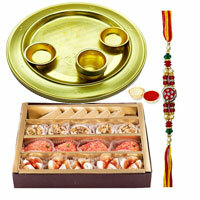 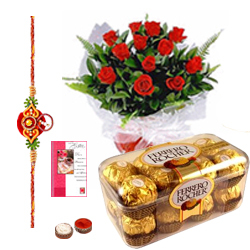 Make this Raksha Bandhan more grander with this lovable Hamper containing with a Bouquet of scintillating Roses, 16 pcs. 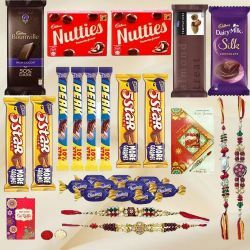 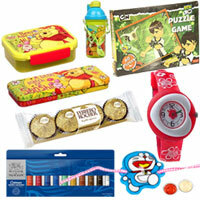 Ferrero Rocher Chocolates and a Free Rakhi.